Getting a device before its release date is always exciting. 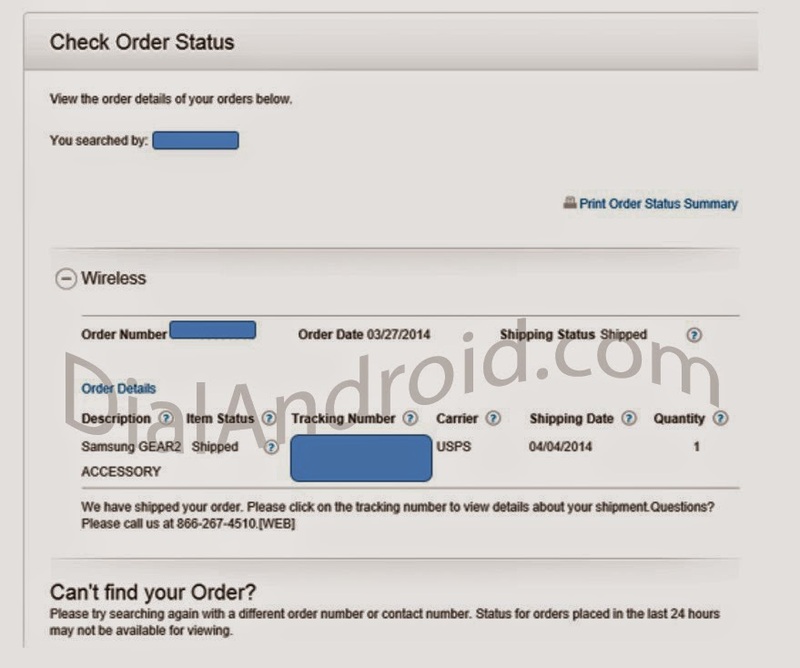 We have already heard lot of news about retailers selling Galaxy S5 and accessories before its official release date. This time its AT&T for Gear Fit. It`s 4th April today and At&T has already started shipping the Gear Fit accessory for the people who have pre ordered it. It is announced to be released on 11th April. Read on for details. This is not new for AT&T. Last year also people who have pre ordered on website have got the S4 three days before the actual store launch. This time, I thought they have shipped my S5 but later I check with the order number and got to know about its was the Gear Fit. AT&T FREE MSG: Congratulations! Your AT&T device has shipped for order XXXXXXXXXXXX. To track your shipment go to http://trkcnfrm1.smi.usps.com/PTSInternetWeb/InterLabelInquiry.do?origTrackNum=XXXXXXXXXXXXXXXXXXXXX.